This past week, Maclean’s magazine released their annual university rankings for the year of 2017. Among the top ranking schools across Canada was Wilfrid Laurier University, ranking ninth overall in the comprehensive category. This position reflects a shift up from the tenth spot in last year’s rankings. Although this improvement is significant, students, staff and faculty on campus are celebrating Laurier’s first place ranking for student satisfaction in the comprehensive category. The measure of student satisfaction was introduced last year to allow students to comment on the student life experience at each individual university. According to Maclean’s website, this was the first time that the results of student surveys contributed to the overall ranking of the universities. “I was really excited to see Laurier ranked number one. I think it really reflects the student experience that we have here at Laurier and we consider that within that larger umbrella ranking, there was also a very high ranking for co-curricular, residence life,” said Deborah MacLatchy, provost and vice president: academic at Laurier. According to MacLatchy, the ranking benefits everyone in the Laurier community. “I think it allows us to have a sense of pride in what it is that we do. The students that come here every day and take classes and live here and participate and also in the faculty and the staff who support it, I think it resonates well with alumni. When I speak with alumni, they reflect on the same positive experiences that they had at Laurier that our current students have and I think for prospective students as well,” said MacLatchy. MacLatchy also emphasized the importance of the ranking for prospective students in identifying what benefits Laurier could offer them as an academic institution. “For students that are looking for their fit at a university, right now this is a great message that we’re sending out to students who are in high school, for example,” said MacLatchy. “We do have a strong focus on the development of the whole student. We have excellent academics, but we’re also very interested in how students are developing as they go through their programs and supporting students in their co-curricular activity that is helping them choose their careers and their life passions. I think that the ranking of number one student satisfaction represents that,” said MacLatchy. Student feedback to the rankings overall has been extremely positive, with many students sharing the story with friends across their social media pages. 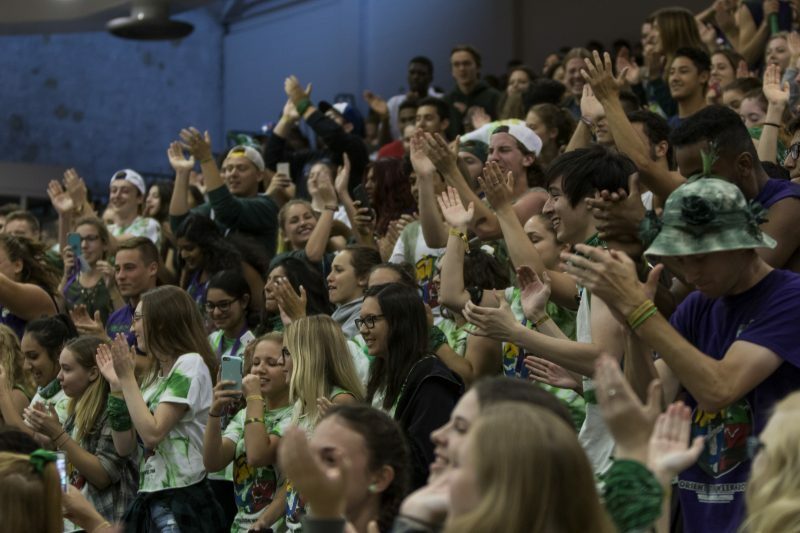 “I think it’s fantastic because it just furthers our reputation as having a great university atmosphere beyond the academics,” said fourth-year business administration student, Hubert Lee. Laurier also received a third place ranking nationally in steps taken to prevent sexual assault. With this year’s addition of a sexual violence support advocate and the introduction of a sexual assault policy, Laurier is making clear, progressive steps toward preventing sexual assault on campus and providing the necessary support to students. “While we’re still in the process of finalizing the new process and procedures, but we’re all very excited about the collaborative work that has gone into that from students, faculty and staff. We look forward to continuing to provide the education needed and the supports that are needed in this area,” said MacLatchy.